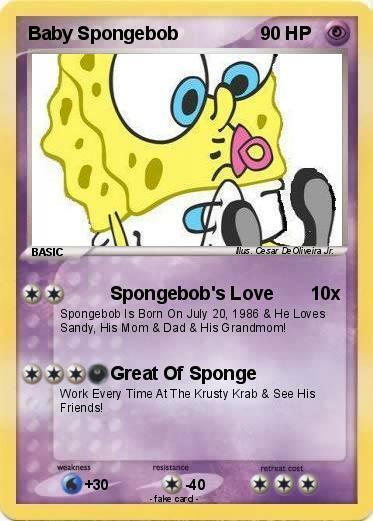 Spongebob Is Born On July 20, 1986 & He Loves Sandy, His Mom & Dad & His Grandmom! Work Every Time At The Krusty Krab & See His Friends! Illustrator : Cesar DeOliveira Jr.